#145 Sweet Slumber Crib Set ($12) NEW! Embellish your favorite doll dresses with Madeira appliqué. New products and techniques eliminate hand sewing entirely. Step by step illustrated instructions show you how easy it is to add a Madeira band to Love and Stitches #556 "Smocks and Frocks" scalloped collar or a fancy hem, ruffles, and neckline band to #557 "Pinafores and Pantalettes". The Madeira appliqué design possibilities are endless! Includes supplemental templates (3 hemline, 2 ruffle, 1 yoke) and a scalloped collar. Modest V neckline, front button blouse with collar and sleeve variations. Long sleeves: pleated to banded mock French cuffs or gathered to smocked cuffs. Collars: scalloped w/ Madeira appliqued band or piped with embroidery. Madeira by Machine instructions & "Woven Silk" smocking plate included. These elegant Madeira appliqué pillows are the perfect addition to any room. Embellish the center of each pillow with silk ribbon embroidery, shadow appliqué initials, or your favorite handwork. Two motifs plus an alphabet are included to get your creative juices flowing. Step by step illustrated instructions shows you how easy it is to add a fancy shaped band to a round or square pillow top. Have fun, be creative... and surprise someone special with an elegant gift! Elegant clutch embellished with inserts of North American lattice work. 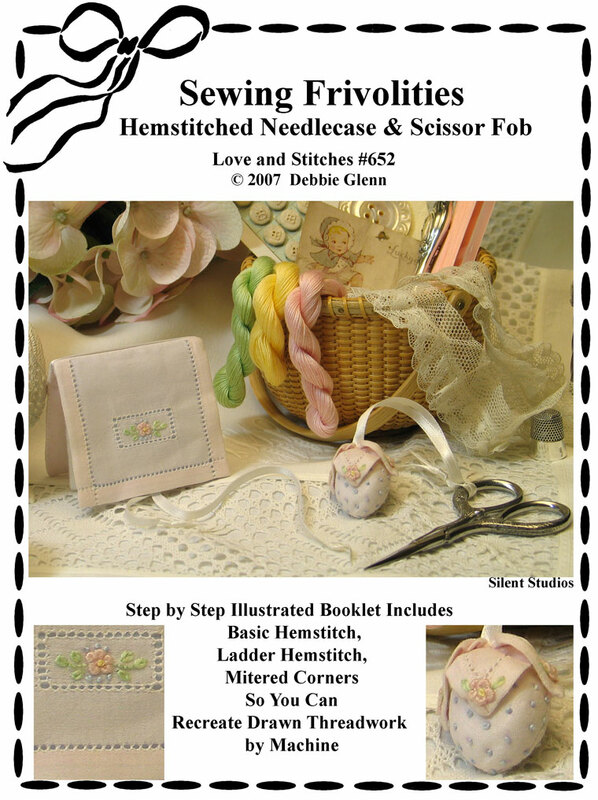 Hemstitched needlecase and scissors fob. 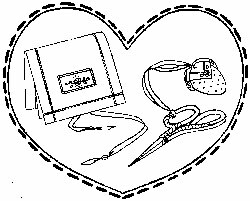 Learn how to recreate drawn threadwork by machine.